Hello! This month's challenge theme at Creative with Stamps is Mother. This challenge is #26 and the sponsor this month is MKHDesigns. I used a digital stamp from the Lovely Ladies set by MHKDesigns. I printed it out on Xpress-it Blending card and colored with Copic Markers. 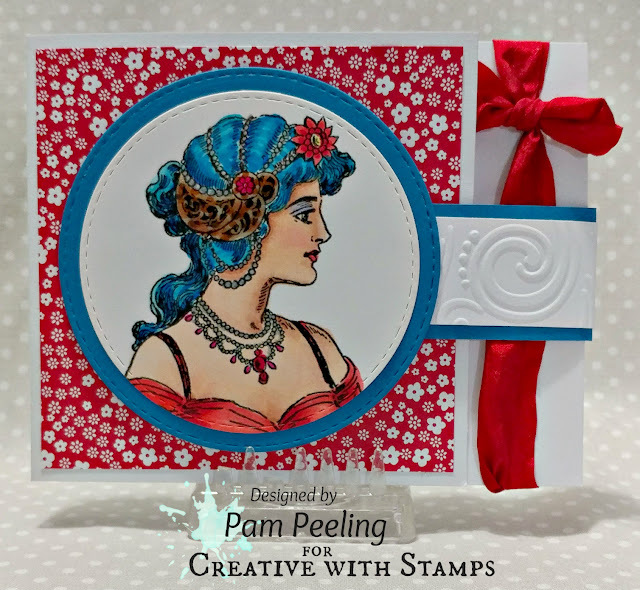 The background paper and blue paper are both Stampin Up! I made a special fold card-here's a tutorial if you want to make one yourself. The sentiment is also from the Lovely Ladies Digital stamp set. 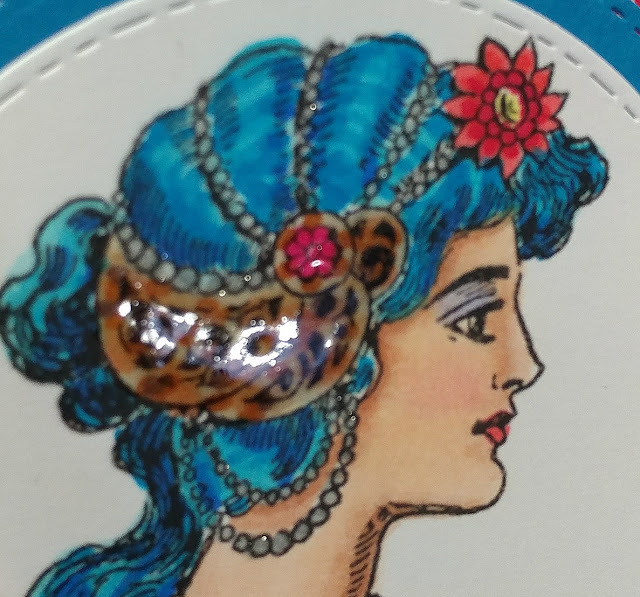 I colored her hair piece to look like tortoise shell and covered with glossy accents to make it shiny. I used a bit of Wink of Stella on her necklace and hair piece. 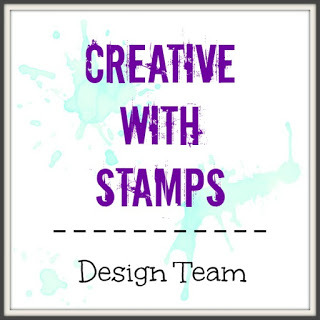 Make sure to head over to Creative with Stamps and play along with a Mother themed card! Oh WOW Pam, the colors you chose are awesome and the tortoise shell in her hair is so clever! I may just have to join in this challenge...gotta whip up some Mom's Day cards! LOVE what you did with this image especially the blue hair! Great job teammie! I love to see the result of different people using the same image. 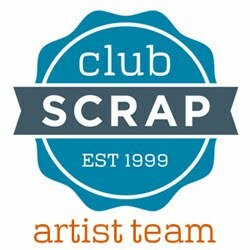 Your creation with this lovely image is fantastic. Your coloring is awesome, and I love the special fold.